CELEBRATE! 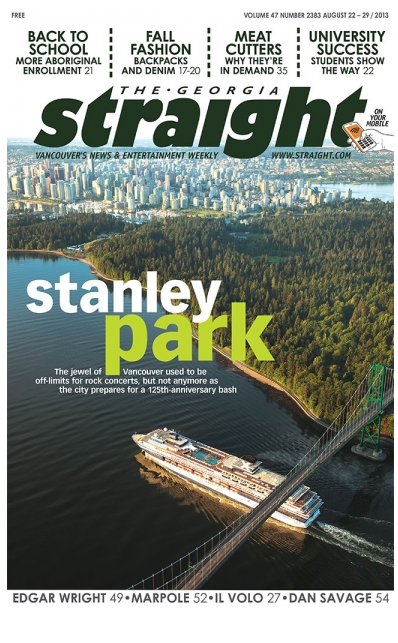 STANLEY PARK 125 MAKES THE FRONT PAGE! Celebrate! Stanley Park 125 made the front page of the Georgia Straight today!